Often, secondary English and Social Studies teachers use older texts to teach the standards of our subject areas. This is a good thing; however, in doing so, we are constantly asking our students to look back to the past, when we should also be asking them to think, discuss, and analyze their present and future. One way to bring our classrooms into the present and to bolster the relevancy of our curriculum is to create lesson plans around texts being created now. One such opportunity arrives every year in the form of the President’s State of the Union Address. No matter whether our current president is a Democrat, Republican, or Independent, he or she must give this address, which makes it a great teaching text – we can count on it every year, yet every year it’s something new. Below are four steps for using the President’s SOTU as a text for rhetorical analysis in your classes. Students will understand the rhetorical situation of the President’s State of the Union Address. Students will analyze how the President’s use of figurative language relates to the rhetorical situation. Students will analyze how the President’s use of persuasive appeals works to achieve his purposes. Students will analyze how the specific word choice (diction) relates to the rhetorical situation. Method of delivery: How will the speech be transmitted to other people? Audience: Who is the speaker addressing? Purpose: What are goals/objectives of the speech? Speaker: Who is giving the speech? Context: Under what specific historical circumstances the speech being given? Prompt: What is the immediate prompt for this speech? Subject: What is this speech about? That’s a lot of moving parts, especially considering the fact that there are multiple answers for nearly all of those questions. You can discuss each one with your students or choose the one in which you would like them to focus their analysis. I use the acronym MAPS CPS to help students remember they are “locating” the elements of the rhetorical situation. Ideally, we want students to be active viewers of the speech, just as we want them to be active readers. How to achieve this objective? Well, you’ve got two options: low-tech and high-tech. High-tech: If your students are able to tweet, create a class hashtag that you will all use while tweeting during the Address. Instruct your students to tweet specific phrases, words, or moments that strike them as important. Since we want them to stay focused on the speech, you can instruct students not to worry about engaging in an actual discussion. After the conclusion of the speech, students should scroll back in the feed and indicate their favorite tweets by clicking the (ridiculous) heart icon. Tell them ahead of time that the most “loved” (seriously, when will Twitter bring back the star?) tweets will be the ones you all discuss in class, so it’s important that they follow through on that last step. You can also encourage students to tweet questions during or after the speech, re-emphasizing the focus on rhetoric and format, not politics and policy. Using the students’ notes and/or tweets as a jumping point, you are now ready to engage in a student-driven class discussion. Another way of building upon the students’ observations is to create a Google document of the speech’s text that all your students can access. Again, the objectives should be clear. You may want students want to discuss diction, and so you ask them to highlight specific words and write a brief analysis of the connotation and effect of that word choice. Or you may want them to highlight examples of when the word choice reflects the audience to whom the President is addressing. Or maybe you want students to comment on the organization of the speech as it relates to the achieving the President’s purpose(s). STEP FIVE: High-five yourself on an engaging, thought-provoking, analytical lesson that also makes your students active participants in the democratic rituals of our great country. 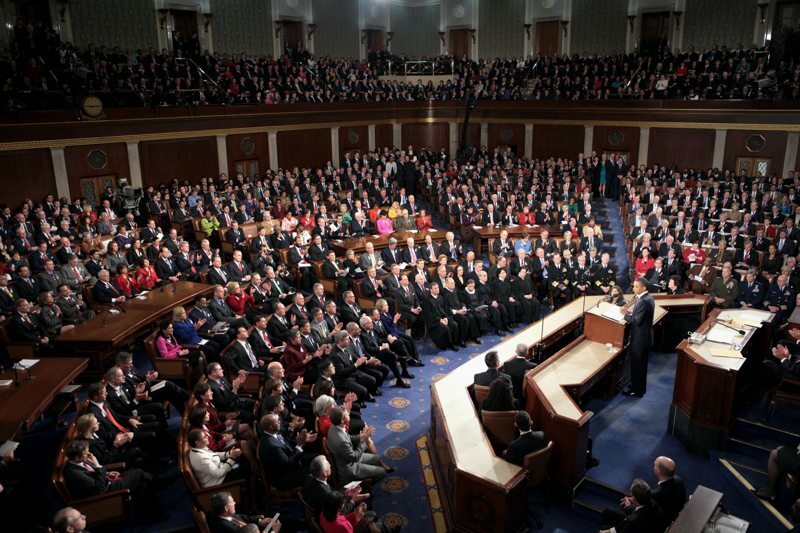 This entry was posted in Language of Leaders, Lesson plan ideas, Speeches and tagged President, State of the Union on January 8, 2016 by meganteaches. 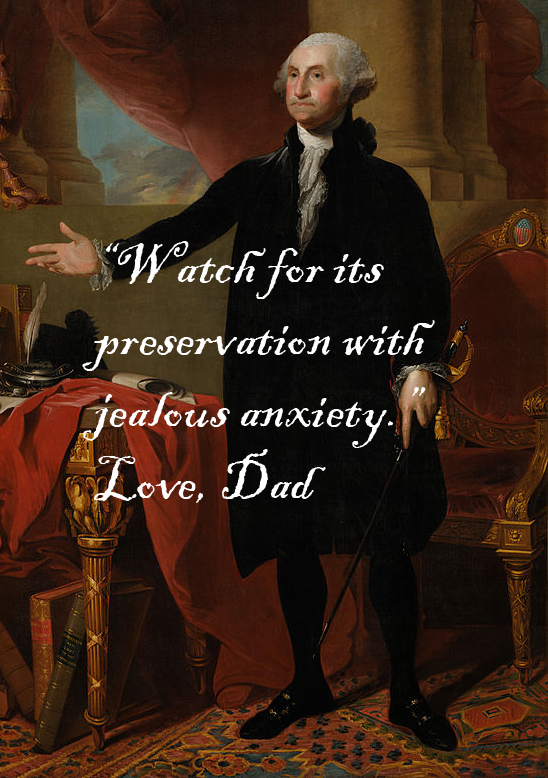 Washington loved “the people,” and we are the decedents of those people; if not by blood, than by the “love of liberty” beating with every “ligament of your hearts.” Like any good father, he worried about the future of the nation he helped birth. His Farewell Address is only briefly about his own retirement and his own service; mainly, it is a warning. It’s the dad in the driveway shouting “Watch out for black ice!” as his daughter drives away to college. You can download the lesson as a PDF, which also includes a copy of the address with room for students’ annotations. Finally, if you would like to see my annotated copy of the speech with notes and anticipated student stumbling blocks, send me a tweet. On his birthday, as his present, and as a gesture to all the presidents we honor on President’s Day, let us honor his memory and service by sharing his words with our students. Happy Birthday, Mr. President. Thanks for lookin’ out. This entry was posted in Language of Leaders, Lesson plan ideas on February 15, 2015 by meganteaches.